College football fans love to watch competitive NCAA football matches. Although, arriving before kickoff to partake in the pregame festivities enhances the excitement level. 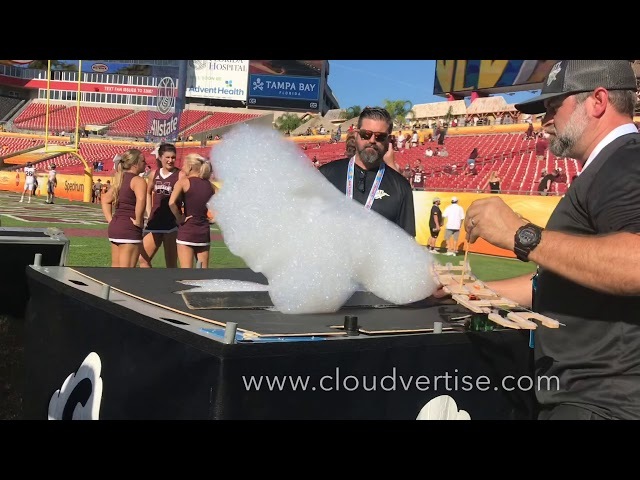 Cloudvertise was hired to provide Aerial Marketing Clouds for the Outback Bowl. Marketers are learning that consumers should not be continuously pitched or sold. Therefore, theme-based campaigns that enable fans to relax and to engage are on the rise. Our aerial marketing clouds provide the ultimate opportunity to showcase a brand at popular events. Shown below are some additional benefits of aerial entertainment. Visibility from all areas of the stadium. Aerial clouds are safe for the environment. High-impact promotions without lot of debris to clean up. Massive amount of exposure for a fraction of traditional advertising costs. For the fifth year, Cloudvertise has conducted pregame festivities at the Outback Bowl. Held on January 1, 2019, the matchup was between the Iowa Hawkeyes of the Big Ten and the Mississippi State Bulldogs of the SEC. Prior to kickoff, Aerial Marketing Clouds were flying high above Raymond James Stadium in Tampa, Florida. Attendees at the event were astonished by the level of excitement that was realized via Floating Clouds. Fans could be seen and heard cheering as Floating Clouds were released from the Aerial Marketing Machine. A Coconut Shrimp mascot represented Iowa’s football team and a Bloomin Onion mascot represented Mississippi State’s football team. Each mascot had an opportunity to slice off a Floating Logo Cloud for its team via the Aerial Marketing Machine. ESPN televised the NCAA football game for the Outback Bowl. 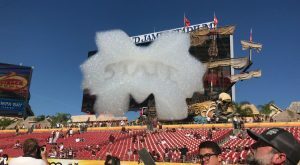 We provided branded Floating Clouds for ESPN, too. The day after Iowa won the game, the Outback provided free coconut shrimp to patrons at its restaurants. Whether hired to create Aerial Images for NCAA football games, NHL, NASCAR or other crowd-filled events, Floating Clouds are a great way to keep fans smiling and energized. 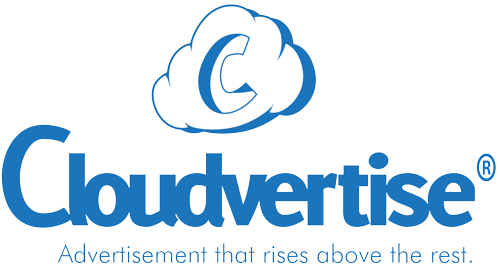 As a leader in the development and ongoing research of eco-friendly Floating Clouds, Cloudvertise offers nationwide Aerial Marketing Services. Our aim is to feature branding opportunities for advertiser at a variety of iconic bowl games and at national championships. We also offer onsite services for music festivals, corporate events, motion films and for other live events. Inquiries for Floating Logo Clouds are welcomed via (888) 664-0097. Contact us today to get more information about our Aerial Marketing Services.